As one of the industry leaders, Optimum continues to create and develop a variety of supplements including the growing popularity of fat loss supplements. Their next addition is a thermogenic (fat loss) drink that is highly caffeinated. The product will be known as Optimum Burn Complex Stim. Without further ado, keep reading for more details about the product. What is Optimum Burn Complex Stim? Optimum Burn Complex Stim is a thermogenic fat burner that provides you energy and helps to support fat loss. It is specifically formulated to assist those looking for a quality stimulant fat burner to push through any thresholds. INGREDIENTS: Acetyl-L-Carnitine Hydrochloride, Natural & Artificial Flavour, Acidity Regulators (330, 296), Caffeine, Green Tea Leaf Extract, Anti-Caking Agents (551, 552), Sweetener (955), L-Theanine, Cayenne Extract, Guarana Extract, Beet Juice Colour, Niacin, Thickener (415), Folic Acid, Pyridoxine Hydrochloride, Thiamin Hydrochloride, Riboflavin, Cyanocobalamin. 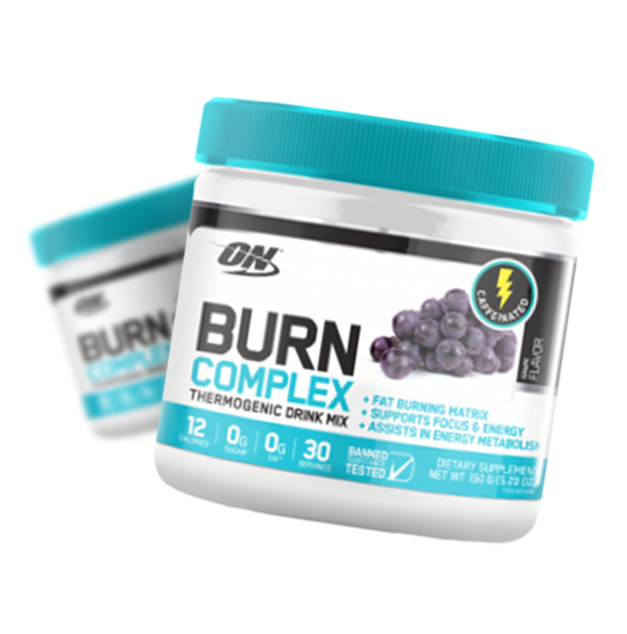 Optimum’s Burn Complex Stim includes a vast range of potent ingredients to support fat loss. These ingredients include Acetyl-L-Carnitine, Cayenne Extract and Guarana Extract which are all responsible for fat burning and increasing fat metabolism. Aside from stimulants like Caffeine and Green Tea Extract; it also contains a mixture of vitamins to provide you with prolonged energy to keep you going throughout the day. Whilst most fat burners are designed to support fat loss by suppressing appetite, blocking fat or increasing metabolism they often contain a variety of stimulants that can increase heart rate, palpitations and metabolism which can interfere with sleeping patterns and lead to insomnia. Long term insomnia affects your immune system making you extremely fatigued. As with most fat burners, they shouldn’t be taken for long periods of time. It is important to cycle and take a 2 week break if not specified by the manufacturer. Optimum Burn Complex Stim will most likely be available in powder form and available in three flavours including Orange Lemon Lime, Grape & Strawberry Kiwi. Many of Optimum’s more specialised supplements such as Amino Energy and Pro BCAA all taste excellent and mix extremely well, so no doubt Optimum Burn Complex Stim will be offered the same treatment. Optimum Burn Complex Stim is a well-rounded thermogenic to help support a faster metabolic rate, improve energy levels to help you advance your training to the next level. This is a supplement to help you get through each training with laser-sharp focus. Better yet, Optimum Burn Complex Stim is a low calorie formula perfect for anyone looking for a fat burner to assist their weight loss journey.